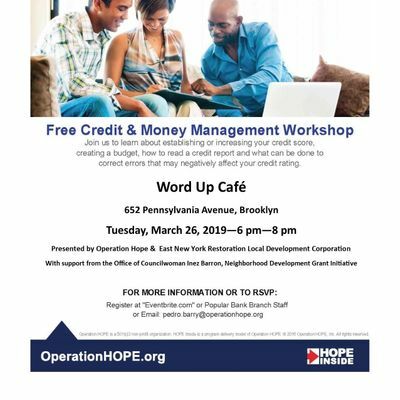 Free Credit & Money Management: Join us to learn about establishing or increasing your credit score, creating a budget, how to read a credit report and what can be done to correct errors that may negatively affect your credit rating. This curriculum will be offered to enrolled participants completely free of charge. 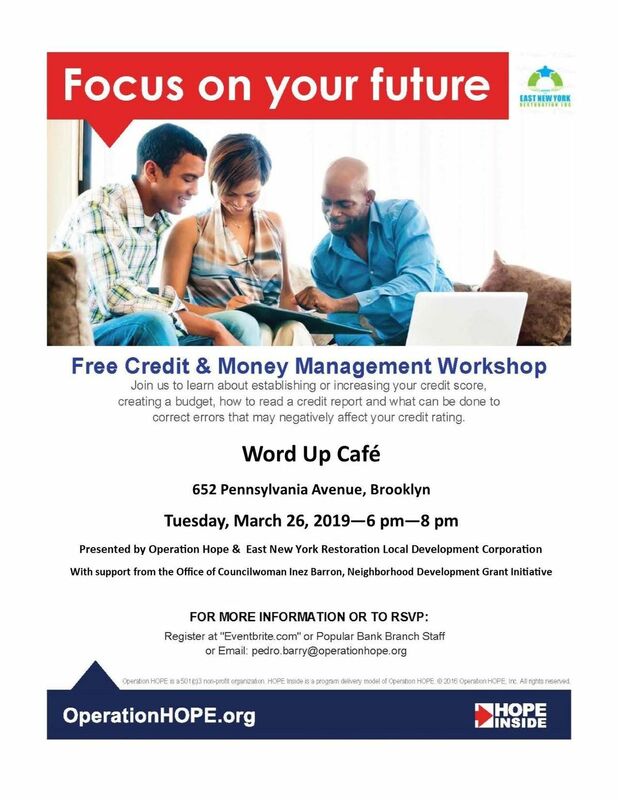 We can put Americans, especially Brooklyn Residents, in the right state of mind, in the right places, with the right people to gain life changing insight that will directly benefit participants’ cognitive experience as well as their own potential bottom line. The newly-launched Operation HOPE/Hope Inside locations inside of Popular Bank seeks to harness New York's untapped human resources by stimulating entrepreneurship, creativity, and economic opportunity.